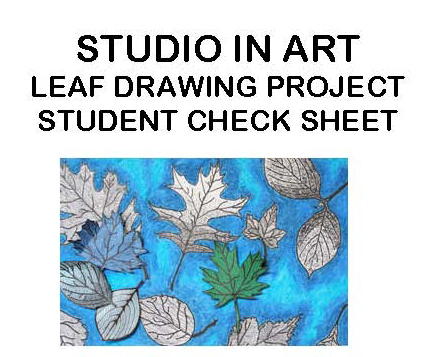 Create a composition of leaves, drawing each repeatedly to create a strong composition. Use color graduation with oil pastel for the background, and varied line textures inside the leaves. Accent the shapes and pull together the composition by varying line thickness around leaves.